This is the announcement you’ve been waiting for, A’ Design Award and Competition has released all winning designs. This year, there are 1962 winners (last year was just 1958 winners) from 100 countries in 99 different design disciplines. You can browse the winning designs to get inspired or new ideas, you won’t be disappointed, this design competition is dedicated to highlight best of the best of multidisciplinary design fields. In this article, we’ll feature our top 20 picks of A’ Design Award and Competition 2017-2018 in random order. Actually we love them all, it’s really difficult to choose favorites among these great designs. You can also checkout this competition online gallery of winners and choose your own favorite designs for inspiration: http://www.designmag.org. 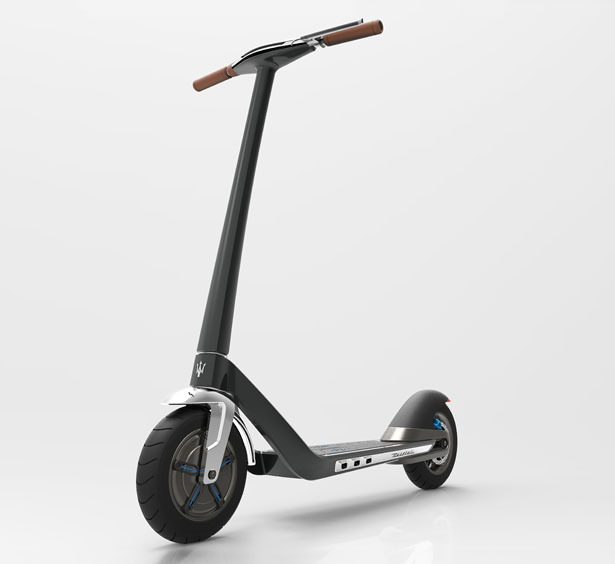 Inspired by Maserati cars, this electric scooter demonstrates pure and essential DNA design of Maserati. 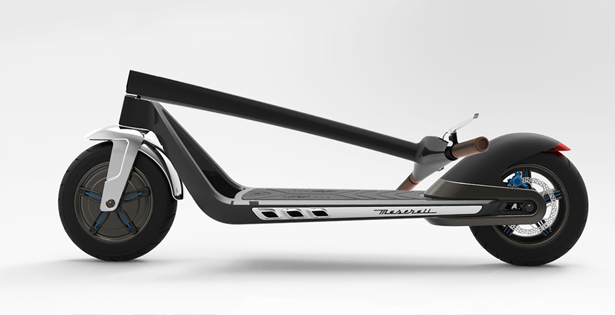 It represents power, technology, and innovation, easy to carry and easy to drive anywhere you like. The foldable feature makes it possible to carry even when you are on public transportation. Look at that, a modern rocking chair that blends in harmony with your modern home décor. Handcrafted in Netherlands, Iconic Cloud is made of solid French oak with a soft finish and high quality fabric made from 100% wool by Kvadrat. There are rubber strips added to those legs to make sure your floor stays nice and clean. 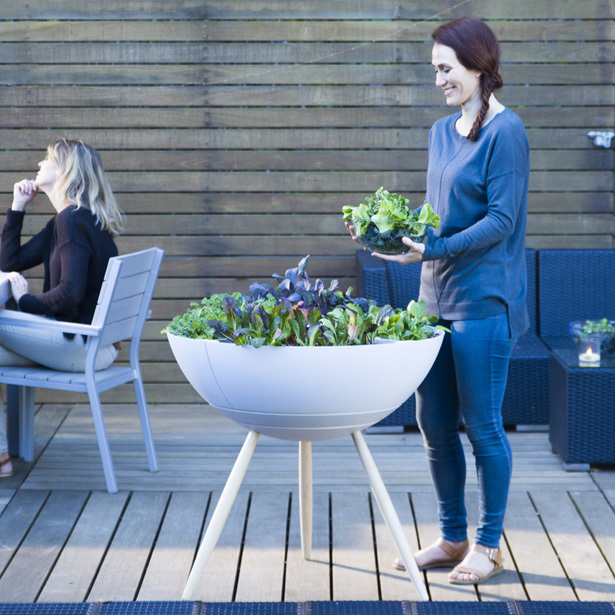 Grow your own food, UrbnEarth offers smart at-home system for growing fresh organic salads. Do you know that salad holds the record for most wasted product? It is also usually the source of foodborne illness. This project aims to transform consumers to empowered producers. This planter would water itself and learns the best plants to grow at your home. 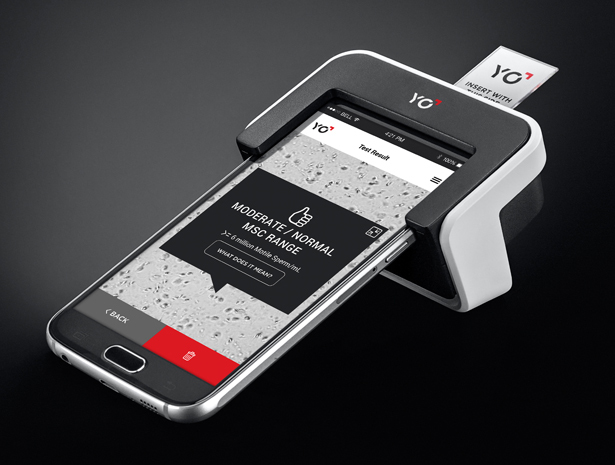 Great minds think alike, we featured YO Sperm Test previously because we were amazed by this idea. No wonder this project won Gold award. It’s a smartphone based home sperm test, it has mini-microscope that slides over the phone to utilize phone light and camera to capture and analyze a video of sperm. This project offers personal, affordable, private, and accurate test for men. 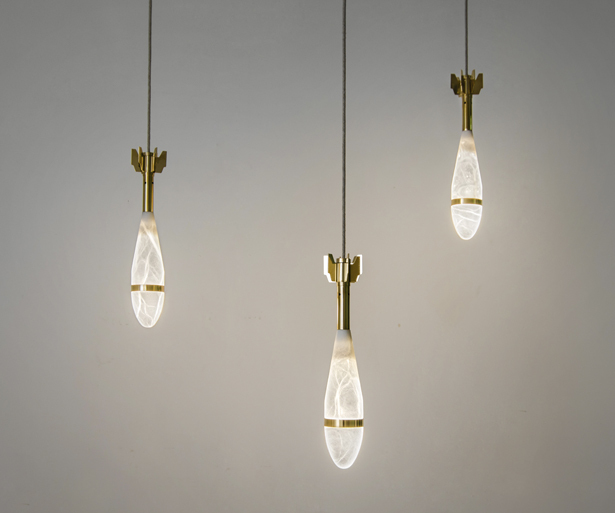 Based on how it looks, yes, you are right, this lamp was inspired by a mortar shell. This sculptural lamp set is composed of 3 mortar grenades, the intention here is to redefine its meaning and purpose not to remind you about violent, but more about friendly fire. This beautiful lamp piece is made in Alabaster stone and brass plated in 24-karat gold. Population ageing is a common issue nowadays, many countries are facing this problem due to declining fertility rates and/or rising life expectancy. One of the issues that we have to deal with is the difficulties where elderly with disabilities to go out for vacation with the family. 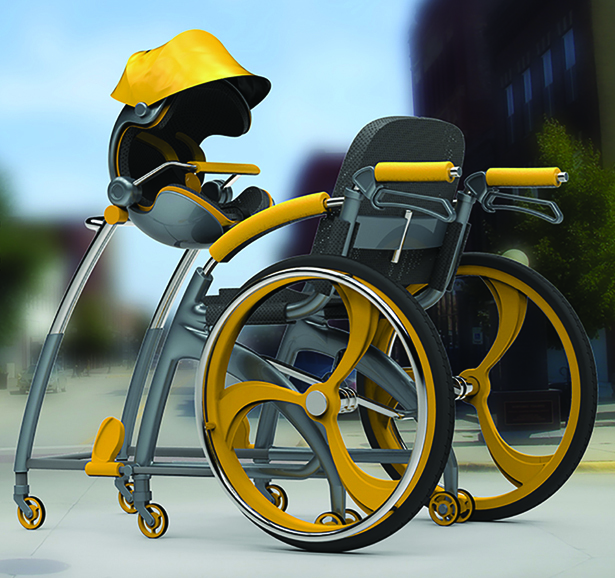 This project design offers a platform or vehicle that allows a baby and an elderly to board together. This is a unique seating design yet very comfortable. It is composed of six rolls of interwoven felt, they are pressed together with stainless steel fasteners. 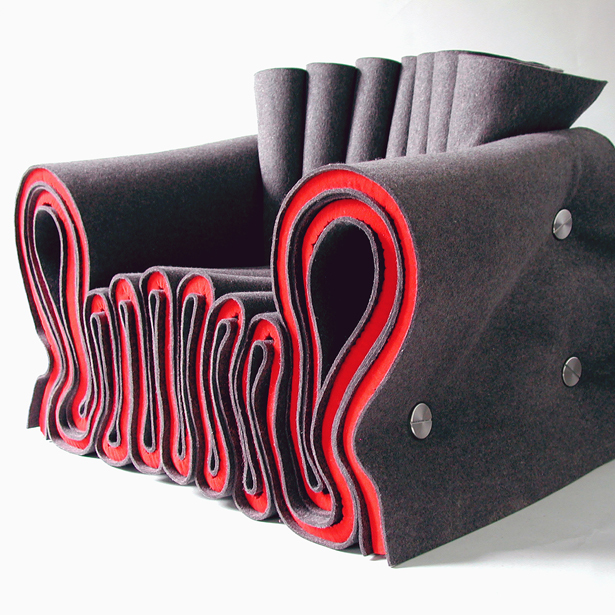 The structural properties of the felt create a soft construction. 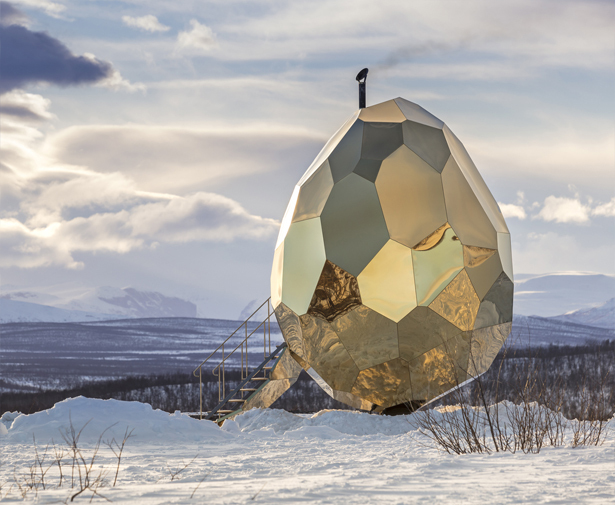 Based on Kiruna’s arctic climate and its strong sauna traditions, Solar Egg offers a public sculpture that responds to natural elements of environment and snowy landscape. This project symbolize the start of Kiruna’s urban transformation, it’s a project that wants to relocate entire city districts to respond to ground subsidence caused by decades of iron ore mining. 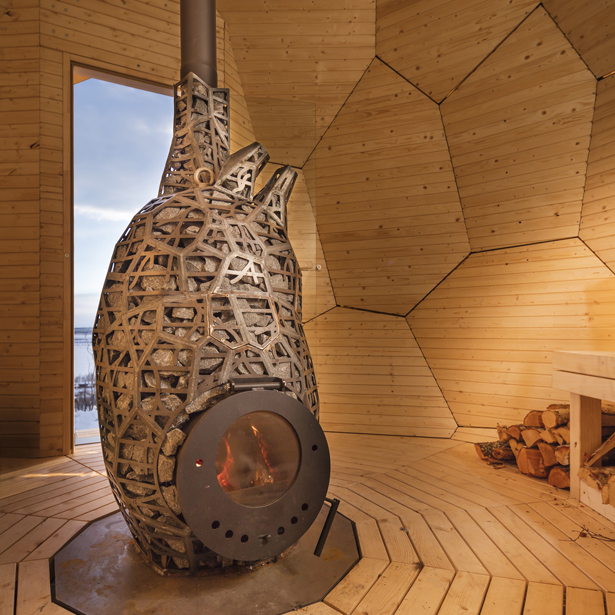 Solar Egg wants to become a social sculpture that attract local people and visitors and bring them together. 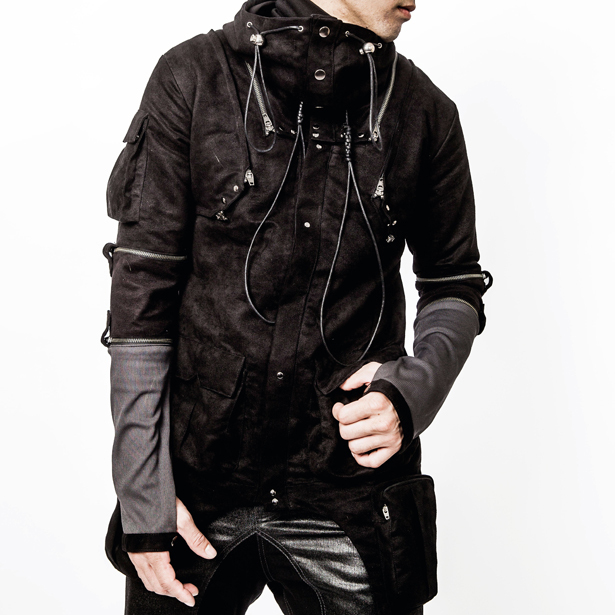 A modular jacket that is composed of three elements: collar, sleeve, and body. You can recombine jacket form and functions using different parts, just like gears. The modular design makes it easy to fix or changes the damaged part, you don’t have to throw away the whole jacket just because of small damage. 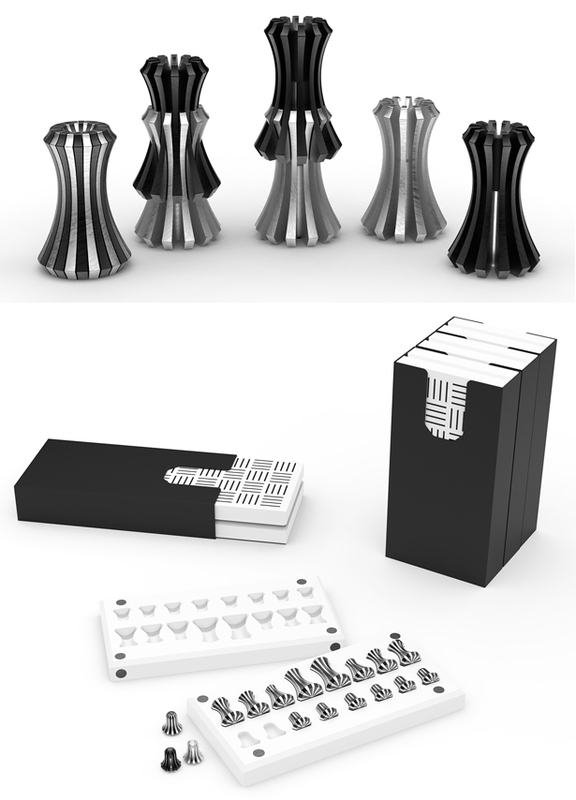 This chess set is designed based on yin and yang philosophy, it is said there’s an evil in every good and there is a good in every evil. However, we can make peace at the end of the game. 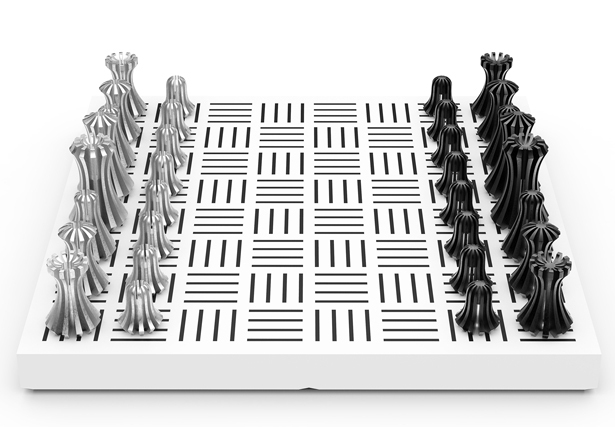 This chest set is designed to be compact, it takes up little space since those stones can be nested and the chessboard keeps all chess pieces. It’s a cool tree inspired shape shifting light installation. Trees have been known to have special part in bringing people together to cherish rootedness of place. Rotal features light branches where people can push, pull, and rotate them to create diverse morphologies. The structure consists of a central trunk with 2 nested transparent pipes and 16 branches. Today’s cameras feature complicated settings and functions, it seems that we have forgotten the simple fact that taking photos is for record and having fun. Croz offers simple digital camera with beautiful texture of material to showcase an elegant design. 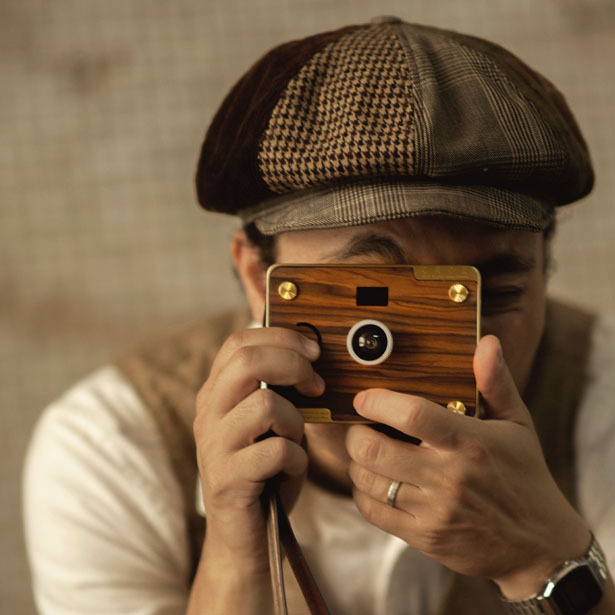 It features simple operations so that you can just focus on capturing the moments. No screen is added on it so that you can focus directly on the scene through the viewfinder holed on the camera. This DIY digicam can be assembled in just four simple steps. 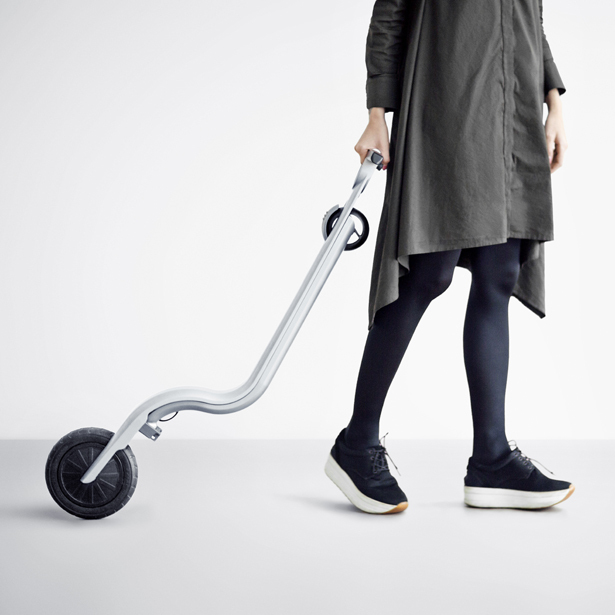 From Swiss and Lithunian startup, Citybirds, Eagle Electric kick scooter is claimed to be the thinnest and lightest electric scooter on the market. 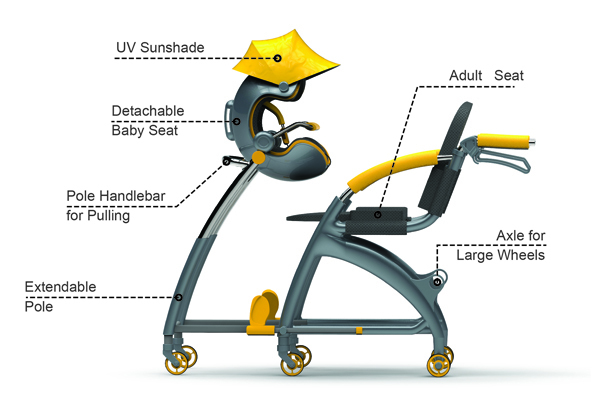 This unit is designed with an integrated handle-built-in dashboard, that curvilinear frame collapses and nests snuggly together to become compact and easy to carry vehicle. It’s easy to switch between transportation modes during your daily commute. This coffee machine features soft and delicate shapes. 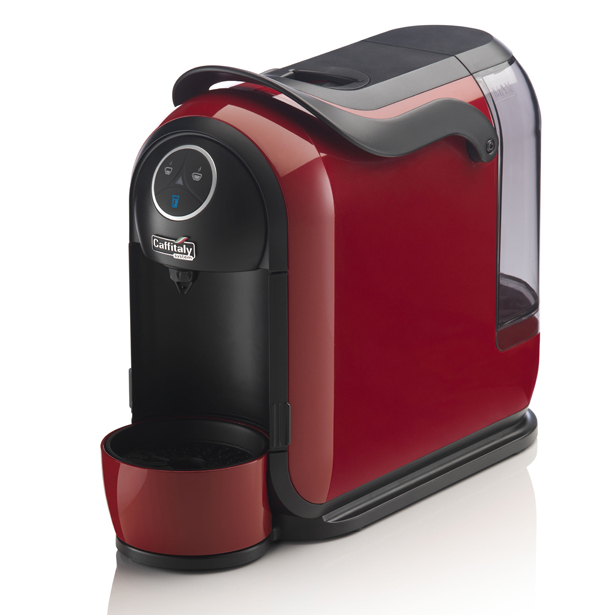 Unlike other coffee machines that just aim to create the best coffee, Clio S21 also wants to give warmth and home comfort feeling. That’s why it doesn’t look like those industrial, professional coffee machines, it offers simple and elegant curves, it takes minimum space possible on your kitchen table. 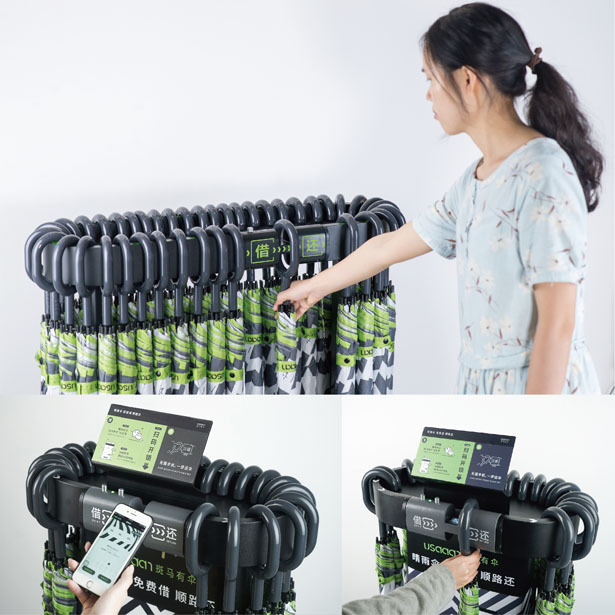 This project is about self-service umbrella rental machine, it uses one-lock management to respond to people’s umbrella needs. We need umbrella to protect us whether as a shade from the sun or a cover from the rain. 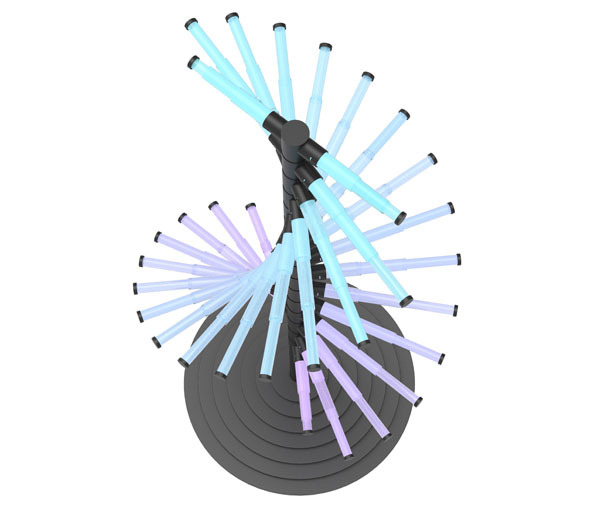 This sharing umbrella system would facilitate your umbrella need in more efficient way. 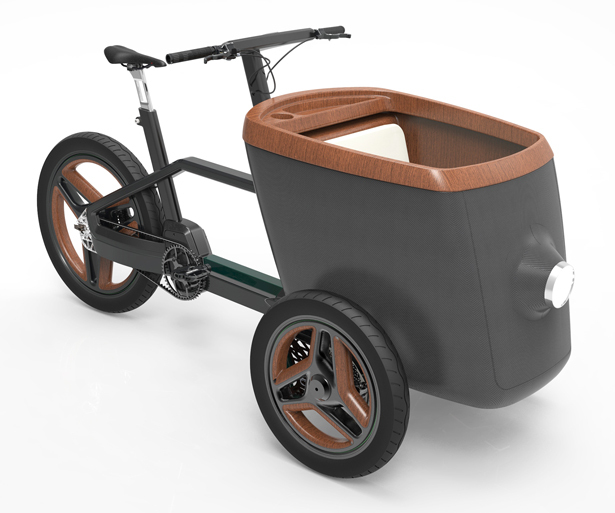 By implementing holistic design approach, carQon Electric Bicycle offers a high-end cargo bike that everyone can afford. It is easy to drive, just like a normal bike where you can use your body to control the steering rather than turning the handlebar. It’s a nice urban transportation when you have to carry groceries or multiple items at once. 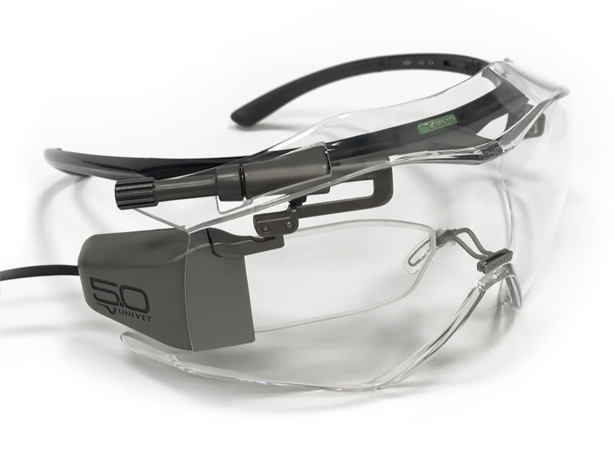 These are not just another smart glasses, these are smart glasses specially designed for industrial and professional use. These glasses not only protect your eyes, they are also equipped with holographic waveguide technology for comprehensive augmented reality experience for industrial use. These glasses can also provide monochromatic information with a monocular projection. 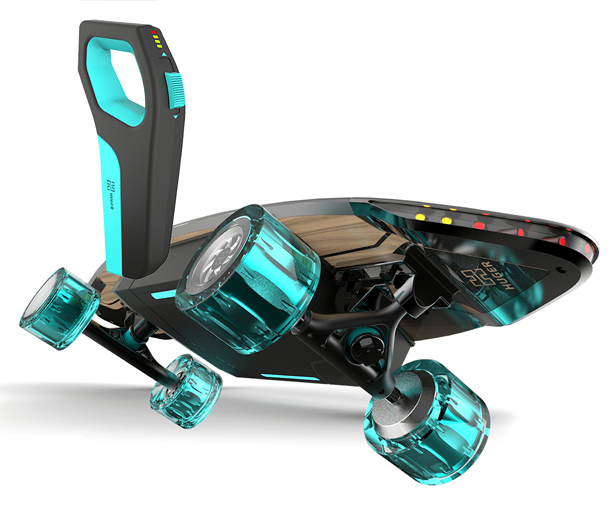 This electric skateboard is available with two battery options: 99watt hours for 7miles of range and 199Wh for 14miles of range. 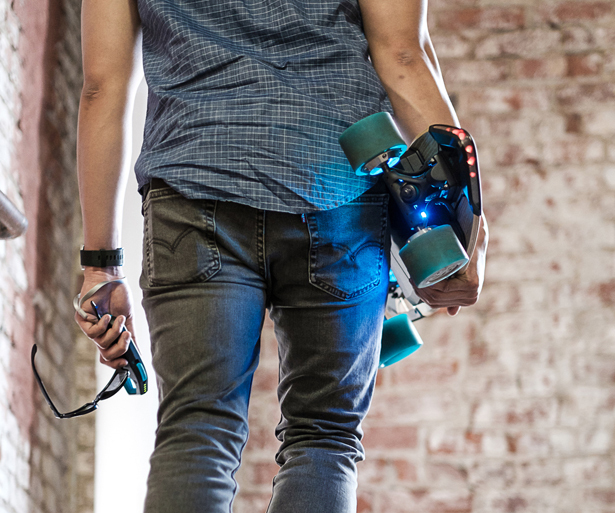 Huger offers you amazing skateboarding experience thanks to smooth braking, powerful electric motors, and easy wireless control. It is also equipped with a high-torque drive train, it offers you with everything you love about traditional skateboards, and more. The use of rippling water in a tomb is hoped to build connection between the deceased and the mourner. 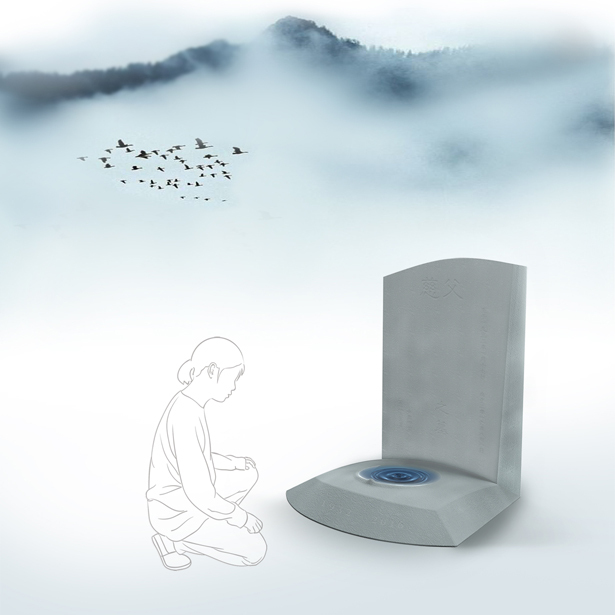 In eastern culture, water is a spiritual thing, including creating a bridge between loved ones who have passed away. 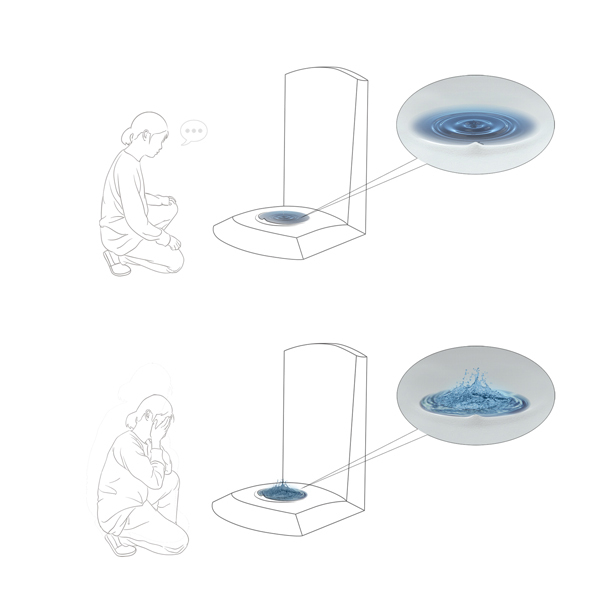 It’s a poetic way to communicate with departed loved ones through the rippling of water surface that responds to the mourner’s voice when speaking or crying. 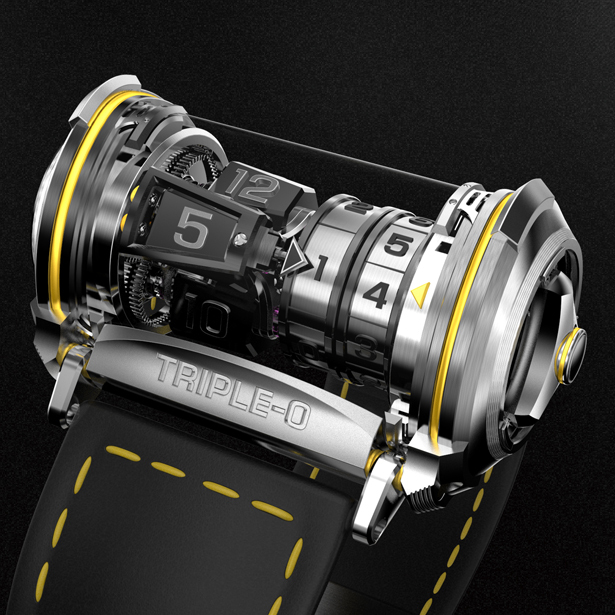 Inspired by three planet gears in the planetary gear system, TRIPLE-O watch features three main innovations: time readings, movement, and crown mechanism. It looks difficult but actually the separation of hours and minutes make time reading is so much easier. This watch also uses Lelord triangle shape as the heart of the watch in movement innovation. The crown mechanism mimics a ball pen structure to provide user with convenience of operation. Well, inspired already? You can get ready for the competition to open its door for 2018-2019. Submit your best work through this link: https://competition.adesignaward.com/registration.php, all designers are welcome, whether you are a product designer, a transportation designer, an architect, a fashion designer, or a design studio, you are eligible to submit your projects and enjoy the chance to get those sweet rewards and instant publicity that you need. Tagged as a design award and competition, multidisplicinary design award, prestigious design competition.